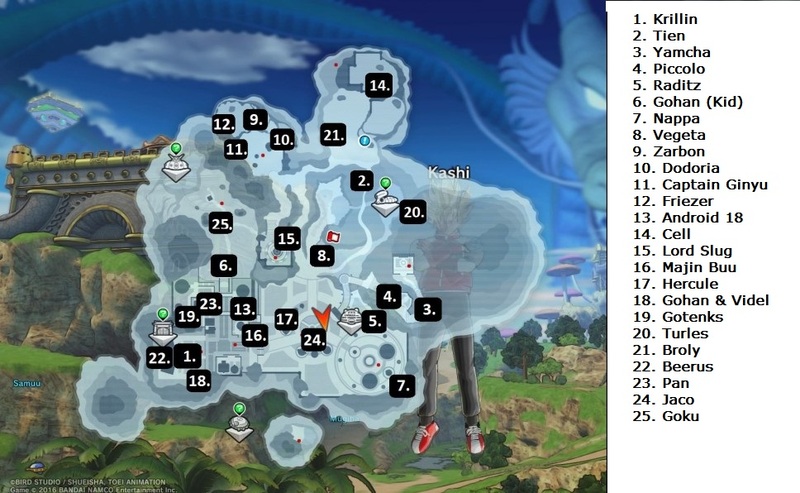 In Dragonball Xenoverse 2, you’ll find 25 Mentors that can give you four skills. 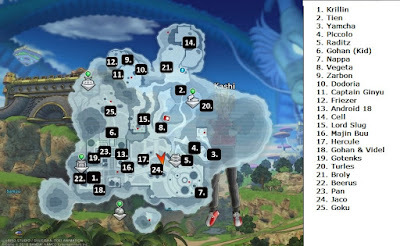 They are all located in Conton City and on the picture below you can see the Locations. However, if you want to unlock all Mentors, you have to fulfill various prerequisites. - Only when you've unlocked the Mentor, you will find him at the location, which is also shown on our map. - Every Mentor expected of you that you complete his entrance exam and then three more lessons. - After each completion you will be rewarded with a special ability, which is originally used by the trainers themselves in battle. - You have to get not only bind to an instructor, but also can alternately work in all masters. - However, you will appoint a certain trainers to master, then you can also do this. He will then also assist you in a random way during missions and parallel quests. Krillin - Defeat Raditz and complete the first story mission. Tien - Complete the first lesson from Krillin. Yamcha - Complete the first lesson from Krillin. Piccolo - Complete the first lesson from Kuririn. Raditz - Zarbon and Dedoria in the story mission. Gohan (Kid) - Zarbon and Dedoria in the story mission. Nappa - Zarbon and Dedoria in the story mission. Vegeta - Zarbon and Dedoria in the story mission. Captain Ginyu - Frieza Saga. Android 18 - To complete the future saga. Cell - To complete the future saga. Lord Slug - To complete the future saga. Majin Buu - Buu saga. Gohan & Videl - Buu Saga and end the side missions of Saiyaman. Broly - Broly in the Buu saga and reach the "God" rank. Pan - Finish all story missions. Jaco - Finish all story missions. Goku - Finish all story missions.